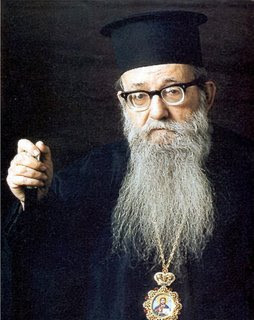 And we who live after Christ, if we do not believe that the soul is immortal and that there is another life beyond the grave, we are totally self-condemned by our faithlessness. For it wasn’t a philosopher, who being human can be in error, but God Himself who become man – our Lord Jesus Christ the God-Man, the Fountain of Truth, the essence of Truth itself – who assured us concerning these things. He preached in the most explicit manner that we have an immortal soul. “For what shall it profit a man if he gains the whole world, and forfeits his soul? For what can a man give in exchange for his soul?” (Mark 8:36-37). And not only did Christ preach immortality of the soul, he verified this fundamental truth with miracles, by raising the dead. He resurrected the daughter of Jairus, the son of the widow from Nain, and Lazarus. The resurrection of Lazarus is described in detail in the eleventh chapter of the Gospel according to Saint John. As soon as you return home from the funeral of your dearly departed, open your Gospel and study this chapter. Read it, not only once but several times. There are no more comforting words than those in the Gospel. What happened to Lazarus will happen to everyone. The Lord who raised Lazarus will resurrect all the dead. The Lord’s command, ‘Lazarus, come forth!’ – this almighty command which caused his soul to return to the dead body and Lazarus to emerge from his tomb – this same command will be heard by all who have died. In every tomb the voice will be heard, ‘O dead, come out of your tombs!’ Their souls will return and everyone will appear again, not with the bodies they have today, bodies subject to sickness, death and decay, but with bodies that are incorrupt. We are not capable of imagining what we will be like when we raise from the dead. When people believe, death is not a calamity that plunges them into an extended sadness, melancholy or despair. Believers weep, certainly, at the death of a loved one, but it is not the same as the wailing of pagans, idolaters and disbelievers. The death of a Christian who had lived and witnessed Christ used to be celebrated like a birthday. 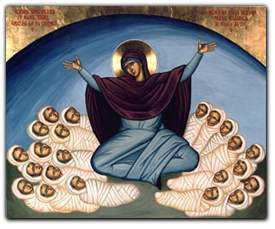 For it was recognized that we are born twice – once when we emerge from the darkness of our mother’s womb to face the sweet light of the sun, and again when we leave the darkness of the present life, which is like a mother’s womb, to face the blessed light of eternity. The person who emerges from the mother’s womb is not harmed, for a new life is gained, far better than that within the womb. Similarly, the person who by death leaves this world is not harmed, for a new life is gained, infinitely superior to the present one. According to Christian belief, death is gain, not a loss or calamity (Philippians 1:21). That is what the Christians of the first centuries believed, when the death of a believer was celebrated as a birthday. They sang hymns of the Resurrection and said to the ‘traveler,’ “Blessed is the way on which you go today, for a place of rest has been prepared for you.” But where is the faith today? Alas, today, faithlessness reigns. Today the people – most people - do not believe in the Lord who was crucified and raised for us, who ascended into heaven, and who will come again to judge the living and the dead. They do not believe in the immortality of the soul. They live without faith, and they die without faith. And so death terrorizes them. They weep and they wail over relatives who have died as though they no longer exist. Then, when someone speaks to them about the immortality of the soul, the resurrection of the dead and the life to come, they laugh and mock his seriousness. In order to believe, they say they want proofs, they want miracles. * This letter is also reproduced as a pamphlet and available for sale through Mystagogy Bookstore (#30).